My name is Niko and I run Tantrum Bullies here in Alabama. Yes, I'm young but I have been involved with this breed for as long as I can remember. I also Own Tantrum Graphix and design kennel banners, shirts, breeding banners, stud banners, I'm willing to work my hardest on anything really!!! 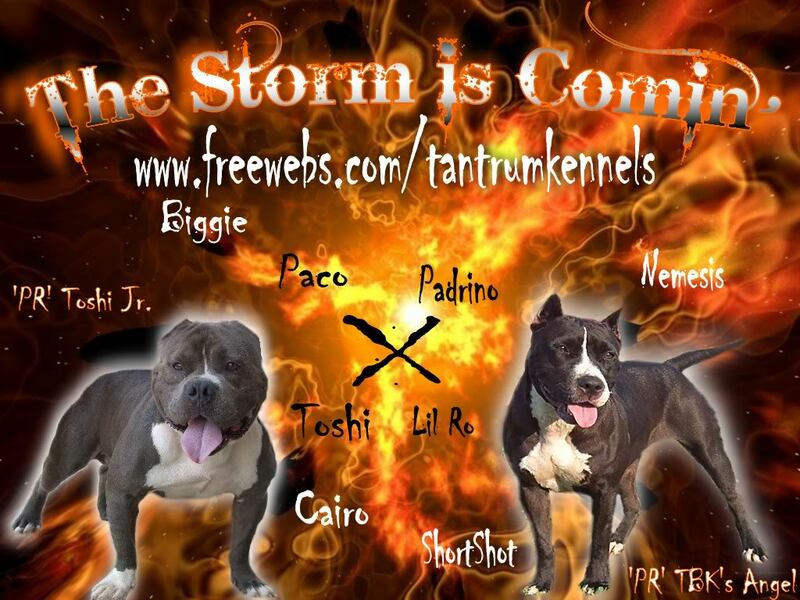 I look forward to meeting new people and other lovers of this phenomenal breed, that we all love! Welcome to the board if you have any questions let me or a mod know!